Frustrated over not getting salary for last 10 months, Kingfisher Airlines Ltd employees today asked the government to prosecute promoter Dr Vijay Mallya and threatened to disrupt IPL matches. "If Gopal Kanda, promoter of MDLR airlines, can be prosecuted for suicide of an employee why can't the government prosecute Vijay Mallya for suicide of the family member of his employees," said Santosh Gautam, president of Kingfisher Airlines Maintenance Association. They also threatened to disrupt IPL matches of the Royal Challenger Bangalore (RCB), the team owned by Mr Mallya. "Last time, when Formula 1 race was being organised here, afraid of our protests, Kingfisher management paid our salary of one month and assured to pay the dues in instalments but they have failed to keep their promises. This time, we will protest outside the venue wherever RCB team plays their matches," said S C Mishra, another employee. The protesting employees have urged RCB players to boycott Dr Mallya's team. They have also asked the Board of Control for Cricket in India (BCCI) not to allow RCB to participate in the upcoming Indian Premier League (IPL). The employees asked the government to amend labour laws making non-payment of salaries a criminal offence and said "the Supreme Court should take suo motu cognizance of our matter in specific and in general for overall reforms required for the benefit of working class." Seeking an early intervention on the issue, the employees have written letters to the President, the Prime Minister, the Chief Justice of India, UPA chairperson Sonia Gandhi, Civil Aviation Minister Ajit Singh and the Directorate General of Civil Aviation Arun Mishra. 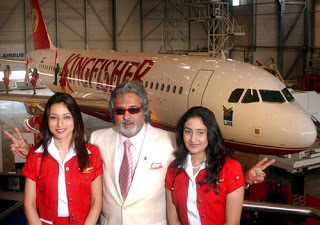 Questioning Dr Mallya's intention to run the Airlines, the employees said, "Enough is enough. We want a clear reply from him whether he wants to run the Airlines or wants to close it down. If you want to close it, then please pay our dues." "Our patience now has run out and we would go to any extent to get justice," said a Kingfisher employee, who did not want to be named. The Dr Vijay Mallya-owned cash-strapped airline is grounded since October last year following unrest by employees over non-payment of salaries and subsequent disruption in its flight schedules. The Air Operator's Permit, or the flying licence, of the airline expired on December 31, 2012 and the civil aviation regulator DGCA had refused to renew it, saying they would have to first clear the dues of their employees and other stakeholders. 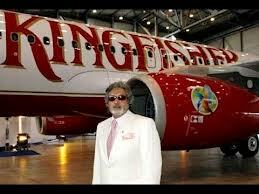 Kingfisher Airlines owes a loan of over Rs. 70,000 crore to the consortium of 17 banks, led by the State Bank of India, which had on Monday said that it was taking all steps to recover the loan provided to the grounded carrier. "We are blazing all guns and taking all steps to recover (of Kingfisher loans)," SBI chairman Pratip Chaudhuri had said. Also, Finance Minister P Chidambaram had asked the banks to take firm steps to recover loans saying that the country cannot afford to have "affluent promoters and sick companies". kingfisher! you are doing an amazing job and i love these pics that you have uploaded. lovely content and nice strike photos. keep us updated with fun stuff like this.